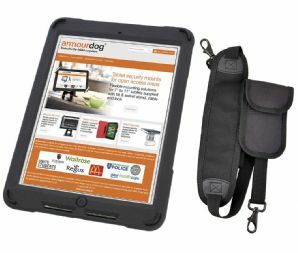 The armourdog® rugged case for the iPad Pro 10.5 delivers a complete protection system without adding unnecessary bulk or weight. 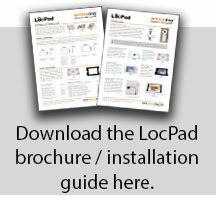 The perfect accompaniment to the iPad when being used in a business environment such as retail, queue busting, hospitality, healthcare etc. 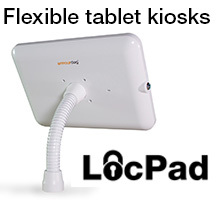 The inner polycarbonate protective shell is remarkably strong, and locks the iPad in place with a latch that can be further secured with a Kensington lock if required. The thick, outer silicon wrap dissipates impact energy across a wide area, while innovative corner bumpers protect the iPad if its dropped, screen down. Our ergonomically designed, ballistic Nylon hand strap reduces fatigue when used for extended use in landscape or portrait orientation. The removable shoulder strap is adjustable, padded, comfortable, and can be secured to each corner. The removable shoulder strap pouch can be used to secure another device such as a mPOS/PED chip-and-pin payment device, barcode scanner or smartphone. The pouch comes in various sizes and can be customised to fit your specific device. We can add your company logo to the cover and customise the case colours, dependent on order volume.